Howdy Readers ! 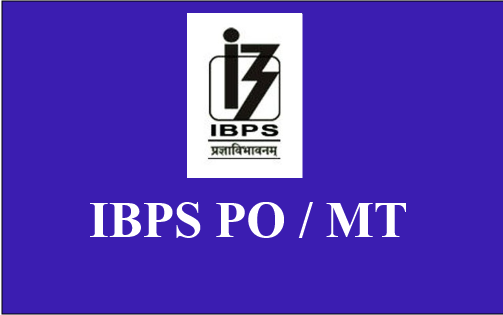 IBPS (Institute of Banking Personnel Selection) Is Popularly Known For Bank Job Aspirants . Conducting Common Written Test Online (Preliminary Examination & Main ) for PO Jobs. Here Is The Post Will Give Clear Idea On IBPS PO (Probationary Officer /Management Trainee ) Exam Upcoming & Trending News & Processing News On Probationary Officer /Management Trainee Cadre Jobs . Aspirants can find Complete Information Related IBPS BANK PO/MT Exam ..